Posted on June 22, 2012 at 2:29 pm by Mary. Welcome to “Kathie’s Corner” first post in a weekly series of practical home management ideas. This first series of topics looks at clutter, the number one concern in keeping up a home and the number one area that usually is the greatest challenge in keeping clutter at bay is the kitchen. Thus our discussion will begin there. The three areas in the kitchen that attract the greatest amount of clutter are the counters, the area around the sink and the kitchen table so let’s zero in on them! Counters seem to be paper magnets–whether mail or school papers, sometimes, the piles can keep us from ever seeing a clear counter. Open mail near a waste basket – toss all junk immediately. Create a simple file system for each member of the family that holds their mail and/or school papers. If there is an area in which these can be housed away from the kitchen that should be your first choice. If that is not possible select a method, such as dividers that take up little space and coordinate with the kitchen. Keep in mind that slot dividers will require less room on the counter than the stack dividers but will not hold as much. If hiding the look of paper is your aim then stack dividers are for you but remember, “out of sight out of mind” – the papers could go unretrieved until over flowing. 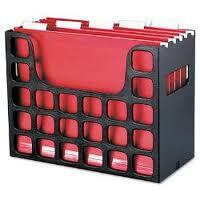 Slot dividers are less attractive but they capture our attention to deal with the paper quickly. Finally, coupons can be a real clutter issue unless you create a system to catalog them according to categories. Be honest, if you don’t use them on weekly basis toss the idea of saving them. They all have expiration dates and unless it is something you know you will use you may just be creating more work and clutter. Click here to share your thoughts on paper clutter in the kitchen. What works for you? Next time look for a discussion on clutter around the kitchen sink.